Different types of Red Bull? 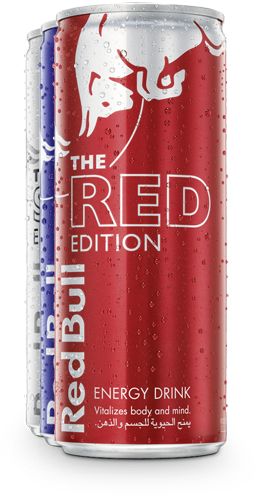 All Red Bull Editions are based on the same formula but feature a different taste identifiable by the product’s color. The Editions’ variations are characterized by an exquisite cranberry (The Red Edition), lime (The Silver Edition), blueberry (The Blue Edition) taste. Learn more about Red Bull Energy Drink.